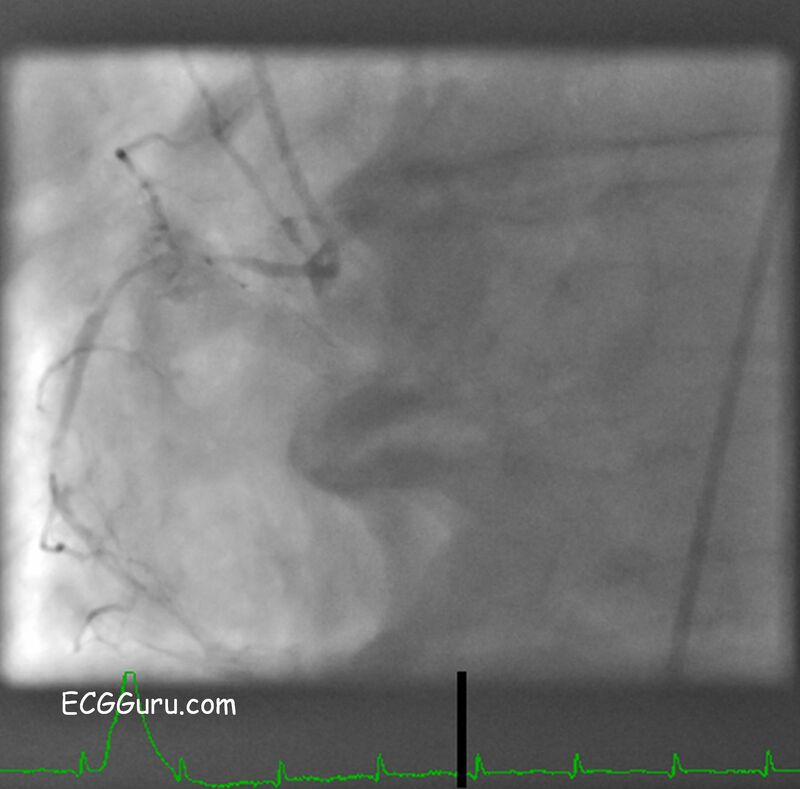 This is an angiogram of a non-dominant right coronary artery in a patient with a dominant left circumflex artery. The RCA is very small, compared to the usual. This patient is one of about 15 - 18% of the population whose circumflex artery perfuses the posterior/nferior wall of the left ventricle. Click HERE to view the dominant circumflex artery of this patient.